Imvula is a young male koala living wild in the You Yangs, near Melbourne Australia. 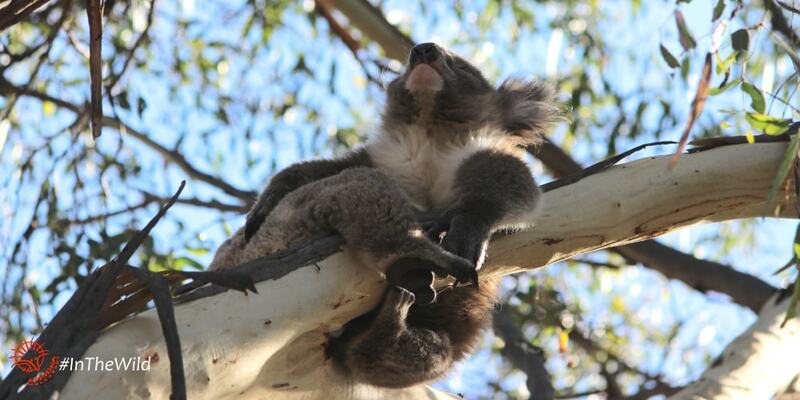 Some weeks back I watched him grooming high in a gum-tree – his balance is so good, he had both his hands raised in the air, one foot scratching his side and his remaining foot holding on to the branch. At the same time he was looking all around, checking out his new home range. To me, he isn’t just a cute koala. He is a vital member of a critical wild animal community that we need. Koalas are part of the ecosystems that sustain life on this planet. 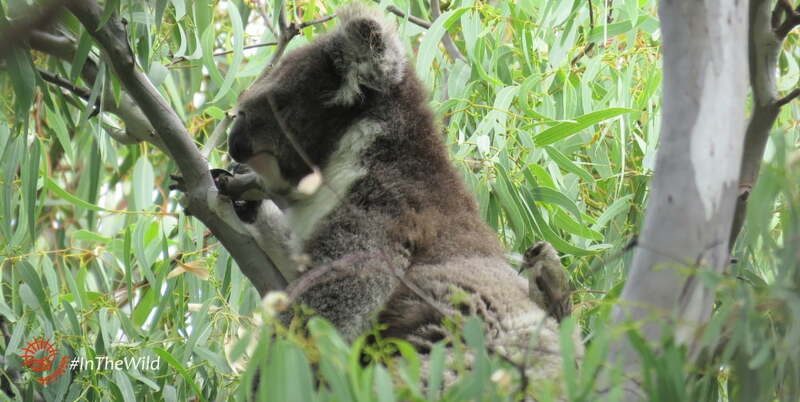 Specifically, koalas perform a role in maintaining the health of eucalyptus forests. They are an important source of warm, highly-insulating fur to line the nests of Brown-headed, Black-chinned and White-eared Honeyeaters. Without koalas, its possible that these bird species will suffer. Without these birds, the trees have fewer pollinators, which means fewer baby trees. Fewer trees means less carbon storage, more erosion, less rainfall, more climate instability. And so on it goes… Every organism is part of the web, and we can’t afford to remove more than a few strands of the web. Imvula, as a young male koala, has a role to play. His fur is already useful to baby honeyeaters (I saw him being plucked last year!). He probably hasn’t created any baby koalas yet – he is too young to breed, but if he’s strong and clever he might be a father next year. His babies will one day provide blankets to more baby birds. For thousands of years koala communities have thrived in balance with their eucalyptus forest homes. The Bush needs Koalas. And Koalas need The Bush. Help koalas stay wild, and protect their Bush homes, by getting involved with Wild Koala Day on May 3. Information for this post was provided by the Wild Koala Research Project conducted by Echidna Walkabout Nature Tours & the Koala Clancy Foundation.